Judaism on Medical Ethics Jewish Ethics & Morality Moshiach and the Final Redemption Torah & Science Miscellaneous The Court of Jewish Law Vedibarta Bam Ask "Rabbi Y"
I'm pleased to introduce you to the newest teen society in the neighborhood: The CTeen Network. We have been granted a unique opportunity to be a part of the fastest growing Jewish teen network. This initiative promises to be exciting and uplifting for teens everywhere, and we would be delighted if your child will come experience The CTeen Network with us. Teens love to socialize, they love to network. The CTeen Network takes these skills that teenagers have mastered throughout time, and creatively channels their talents toward making a difference in our communities. Our mission is to provide a nurturing environment where teens can learn about themselves through giving to others, identify with others who share the same faith, and be part of a group that focuses on building core values with an emphasis on character development. It is estimated that only 20% of a teenager’s personal time is actually spent in a structured school environment. CTeen provides the opportunity for teenagers to reassign some free time into meaningful time, constructively spent learning, giving, and interacting with others teens. Encourage your child to attend a group meeting so they may experience this program first hand. Studies show that by joining groups that emphasize community service, teens build their self‐esteem, strengthen integrity, and maximize their cognitive development. They benefit from improved academic performance and enhanced life skills. It is an opportunity that no teenager should miss, and there's plenty of room for all their friends as well. 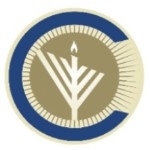 Most program events take place at Chabad: 5140 Leesburg Pike, Alexandria, VA 22302, unless otherwise noted. Looking forward to greeting you and your teen soon!